Have you ever thought about what your client's customer journey looks like before they contact you? Maybe this is the first time you've even heard the term "customer journey" before, so the idea of curating it seems a little, well, alien. But it's also an important idea to start considering, because it can be foundational to a lot of the marketing that you so. I wanted to create a quick video about it because it seems like, in general, marketing is an issue that comes up pretty consistently among artists and photographers. Many artists and photographers struggle with the idea of marketing themselves. What does marketing even look like and what do you say? Is it posting on social media, blogging or networking face to face? The truth is that it can be any and all of those things. But what's most important is that you are sharing relevant information and insight with your potential customers on their buying journey. Sometimes it can feel really difficult to even get those conversation started, so I wanted to offer you a little story, and then some advice to help you take that story a template and apply it to your own work to start getting your brain thinking about marketing a little bit differently! Watch the video below or, if you prefer, read on! Several years ago I had a client named Christine a couple years ago, and she had contacted me for a consultation. Now the thing is is that she was pretty familiar with me before she even book a consultation and this was something that I had engineered. When we sat down to have our consultation she had money in her pocket and she knew that she wanted to book my next available date. So how did this happen? Well, she found me initially on Facebook. And then she found my blog and she started reading my articles. Then she signed up for my email newsletter and got a series of autoresponders that was prepared by me to help walk her through what I call the Customer Journey. It's kind of what it sounds like: it is literally the journey, the research phase, the thoughts, the emotions and the experiences that your potential client goes through when they decide that they want start looking for service, or they decide that they want make a purchase. So for some of us, like when we're buying a new car, it looks like: the idea, and then the research and then the comparison, and then finally making the decision. For example, I'm going to compare Toyota and Honda. I'm going to do some test drives. Then, finally, I buy a car. 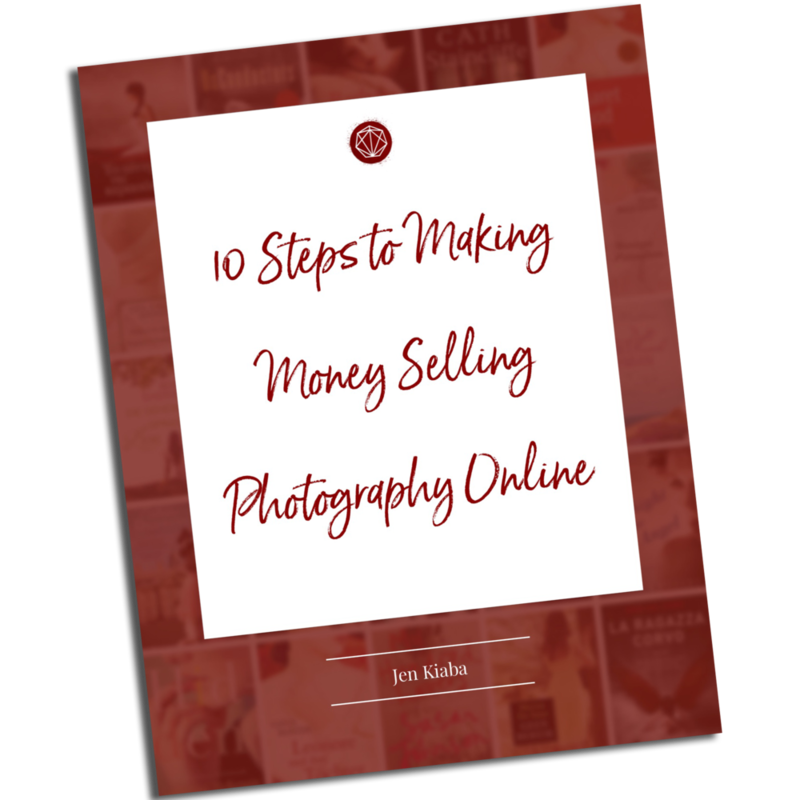 So when somebody's thinking about a photo shoot, they go through similar motions and what you can do is start putting yourself out there to address those various needs at those various stages. If, for example, your ideal client comes to you because they want to celebrate something in their lives, then you can create content around how, for example, booking a beauty shoot is the perfect way to celebrate yourself. If you do headshots, then maybe it's similar content around celebrating a new jobs. Same thing with senior sessions and celebrating arriving at a special stage in high school. With fine art it can be kind of the same kind of thing: creating content around art being an heirloom investment and a wonderful, commemorative experience. If that's the beginning phase, start to think about what the next stage would be. It might be the research stage. So you might want to create content about what is it that you offer that is different than what other people are going to offer. And then even further along in the journey, you can start talking about the really special things about the experience offer. What is it that your potential client is going to take away from from the experience? Because it's not just going be a photo shoot; it's not just going to be a piece of art; it's going be something that lasts. So back to my story: in the autoresponders that I had created, the content was around how a beauty session is a wonderful commemorative experience and how this photo shoot is not just a one time experience. It also talked about how the albums and prints that they would buy would become heirlooms, and that the shoot itself would be an experience that they would carry with them for the rest of their lives. So when Christine signed up for my newsletter, she received about seven emails; she received them in succession and each one was designed to build off of the other. By the time Christine received the last one she was so excited that the money conversation with kind of a non-issue. During our consultation, she just wanted to know when my next available date was! So I want you to think about how can you curate your customer journey from what you're putting out there; whether it's on social media or on a blog or on a newsletter, what is it it that you can do to help the people that are in those beginning stages, start thinking about your services. What can you put out there for the people that might be in the middle stage of their journey to really help them think about what sets you apart or what the lasting benefit is going to be when working with you. And then start getting them excited about what it is that you offer and what they're going to keep with them forever. Because like I said, by the time you have gotten them that excited, your pricing is not even gonna be an issue. So I hope that this is really helpful and I would love to hear what you think! Let me know if you get some ideas of how you can curate your own customers' journey towards making the sale or booking the session!